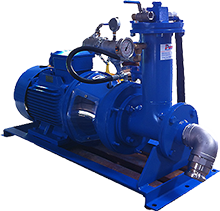 Pumps have a comprehensive parts list and we have full backup and service facility's. We specalise in fast turn around on repairs and parts. P.U.M.P are the Australian Manufacturer for the revolutionary FORCE 15 Pump (snort type pump) . We offer sales, servicing and full pump repairs of all FORCE 15 Pumps and submersible pumps in Australia. The FORCE 15 Pump can be used on underground drill rigs and also as a static pump for sumps. The FORCE 15 Pump is extremely reliable. The FORCE 15 Pump is capable of self-priming at up to 8 metres vertical. The FORCE 15 KW (Snort type Pump) can discharge 10 litres per second at a 70 metre head. The pump is very simple to operate and maintain. The unit comes complete with all hoses, clamps, fittings, grease gun and two grease cartridges. Call us for full documentation and advise on all applications.